So people ask me how do I pick homes for GDoN and rental options. GDoN posts are homes that I usually pass during my walks. Exceptions are houses that are emailed to me by folks. Rental options I usually find via craigslist but sometimes requests are emailed to me as well. These are normally indicated by “reader request, owner request” etc. So don’t hesitate to email me with interesting homes/rentals you come across. Anyway, I saw this house last weekend and thought it would still be for sale when I planned on posting it today. I was (happily) surprised to see that it was already under contract. I’ll admit, I didn’t think it was going to go for this asking price. But I do think think the renovation looks good. 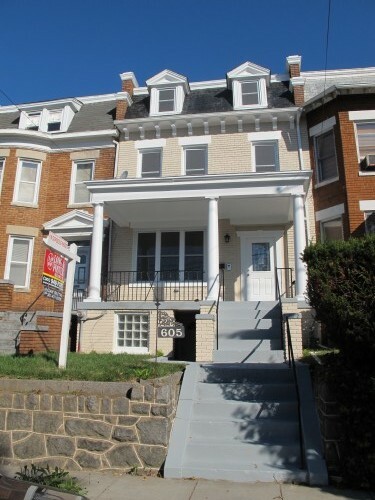 And since you guys are better at searching the archives of this site than I am, didn’t another renovated house on this block go for a similar price? What do you guys think of the reno? Are you surprised that the asking price of this 4 bed/3.5 bath was $575,000?